Want to make little alcoholic gummy treats? Sure you do! All you need is Agar agar, which is a gelling agent made from sea weed, which means this recipe is also vegan, so you get to get happy animal points as well as drunk. 1 part Jack. 1 part Lime. Good times. 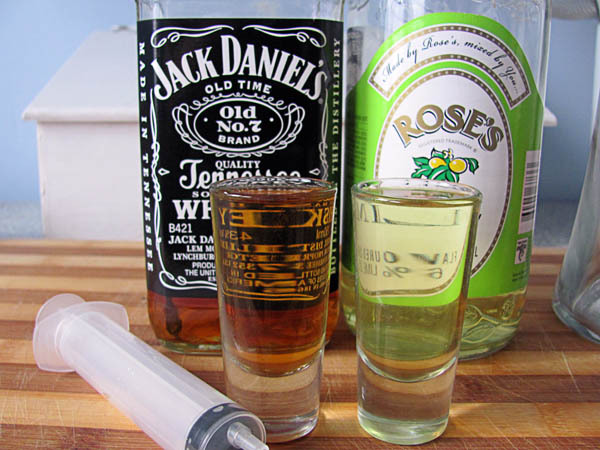 1 shot is 44.36ml, so I’m just going to round off to 50ml of each just to make the math easier. You’ll want to dissolve 1% of the liquids weight of agar agar. So in this case there is 100g of Jack & Lime (this has approximately the same density as water so one millilitre will be roughly one gram), so we will only need 1 gram of Agar agar. Agar agar melts at 85° C so you don’t have to boil your solution and lose the alcohol content, even if you do boil the liquid it will still retain quite a bit, if not most of its alcohol. 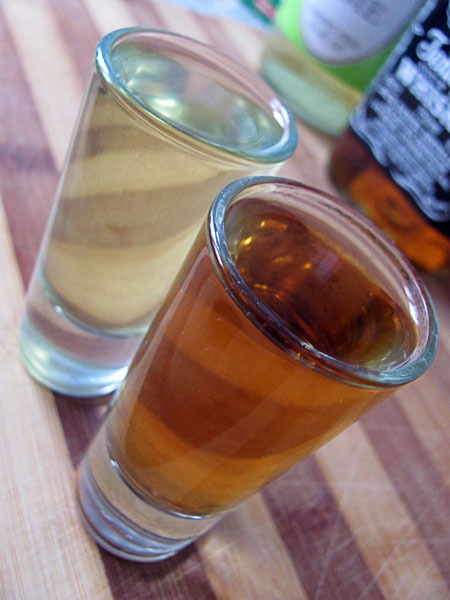 Most alcoholic drinks aren’t exactly savored, so you can imagine that people don’t really wan to linger on the taste. Simple solution – add sugar to taste. Then drip the Agar/Jack solution into the cold oil and watch it fall down to the bottom. 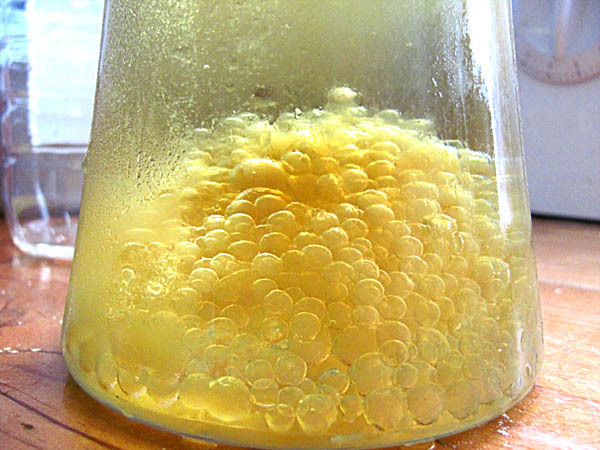 It is a good idea to have the cooled oil in a tall, thin container so that the spheres have time to solidify before getting to the bottom and losing shape by bumping into other spheres. This part is quite therapeutic and I’d happily go through the whole process just for this step. Happy Jack and Lime spheres nestling at bottom of the cold oil receptacle. After you’ve gotten all your spheres made, wash them in warm/hot water to get the oil off. 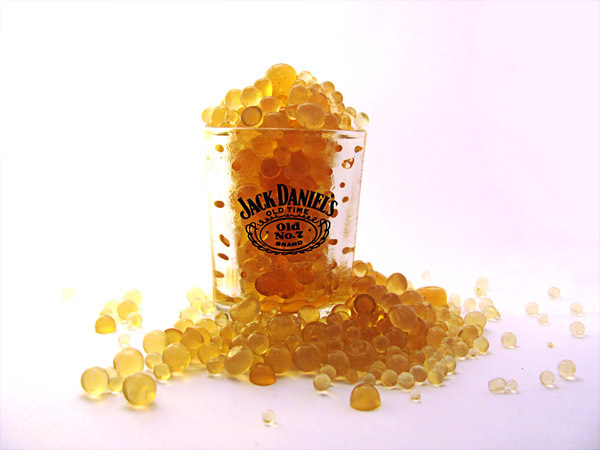 There you have cold oil spheres that are great to put into drinks or as fake caviar. I found that depending on how hard you squeeze the syringe, you can create quite a variety of sphere sizes. Here’s a little video on the process. In this example, how long does the liquid stay inside the oil spheres? It isn’t liquid inside- it’s more of a jelly ball.